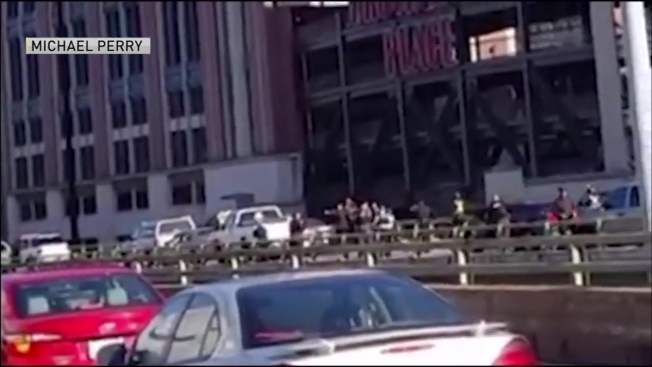 One person was killed and another was injured in a police-involved shooting after a chase on I-95 in Providence, Rhode Island. 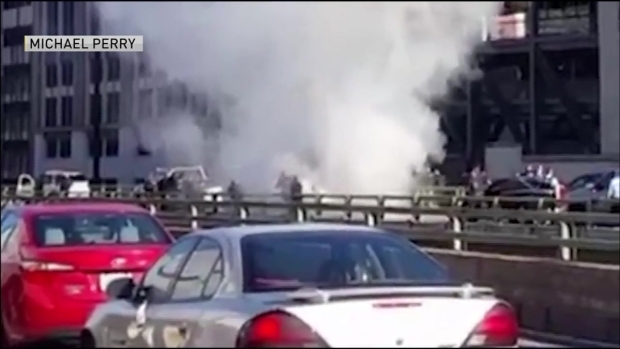 One person is dead and another injured after a wild chase and shootout with several police officers on busy Interstate 95 in Providence, Rhode Island on Thursday morning. No police officers were injured in the incident. The person who was killed has not been positively identified, Providence Public Safety Commissioner Steven Pare said. "We are investigating all the circumstances," he said. "There were multiple officers involved in the shooting." Pare said both the person killed and woman injured were in a pickup truck that police were trying to stop. "We are investigating why this person did not stop and why police officers had to use deadly force," he said. "Some of the Providence police officers had body cams, and we are reviewing that and other video." The injured woman was taken to Rhode Island Hospital, where she remains in critical condition. Witnesses said they saw a shootout between occupants of a white pickup truck and other vehicles. Aerial footage from NBC Boston's Sky Ranger helicopter showed a white pickup truck riddled with bullets sitting on I-95 Thursday afternoon. Ramps to I-95 in downtown Providence were closed temporarily as police investigated the incident, causing major traffic backups. They have since reopened. Earlier in the day, police had said the chase and shootout were related to the theft of a Rhode Island State Police cruiser around 9 a.m. Thursday, but they later said the stolen cruiser incident was unrelated to the incident on I-95. Police said they are still looking for the suspect in the cruiser theft, 35-year-old Donald Morgan. He was being transported to court when the state trooper driving him stepped out to check on an accident on Route 146. 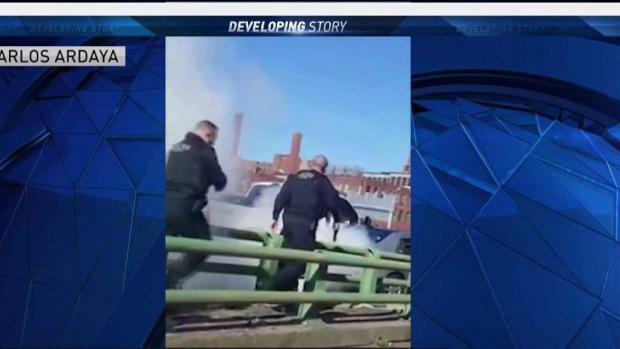 Police in Providence, Rhode Island, shoot at a white pickup truck during an ongoing investigation into a stolen state police cruiser. Police say they later learned the people inside the white pickup truck were not connected to the stolen cruiser suspect. A man was killed and a woman was injured in the shooting. No weapons were found inside. Warning: Video may be too graphic for some viewers. The cruiser was recovered within an hour, abandoned in Providence. Anyone with information about Morgan's whereabouts is asked to call Rhode Island State Police at 401-444-1000.